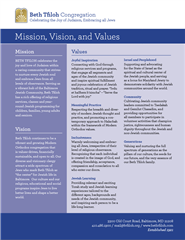 BETH TFILOH celebrates the joy and love of Judaism within a caring community that strives to nurture every Jewish soul and embrace Jews from all levels of observance. Serving as a vibrant hub of the Baltimore Jewish Community, Beth Tfiloh has a rich offering of religious services, classes and year-round Jewish programming for children, families, young adults and seniors. 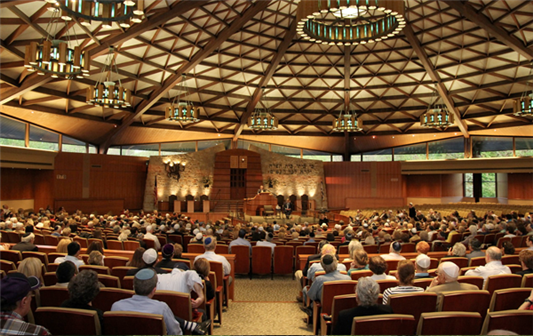 BETH TFILOH CONGREGATION is the largest Modern Orthodox Synagogue in America, with over 1,300 members representing a wide range of religious observance. Our dynamic rabbis and world-class Chazzan lead inspiring religious services, officiate at life cycle events and provide ongoing adult education classes through MERCAZ DAHAN CENTER for Jewish Life and Learning. An extensive calendar of youth and family programs are offered through our YOUTH CENTER. Our CAMP is one of the area’s most popular summer day camps, with a top rated aquatics program on its own 40-acre campsite. Centrally located in Baltimore County, the Congregation’s extensive religious facilities and banquet halls are among the most popular Kosher catering venues in the Baltimore metropolitan area. BETH TFILOH DAHAN COMMUNITY SCHOOL is recognized as one of the top college preparatory Jewish day schools in the country. Offering a complete continuum of education from Pre-School through High School, our school embraces families from all branches of Judaism as part of a caring community that celebrates the joy of Judaism, emphasizes values and mutual respect, and champions each child. We provide not only outstanding academics but a wealth of opportunities for students to excel – in the arts, athletics, technology and leadership. Our graduates are extremely well rounded, respectful women and men with a broad world view who have distinguished themselves as leaders on college campuses and beyond.